You are currently browsing the category archive for the ‘medication’ category. This is from the St. Paul Pioneer Press. See the whole thing here. One of five appointees to the state Board of Medical Practice has received more than $270,000 from pharmaceutical companies since 2002. Dr. Tracy Tomac, a Duluth psychiatrist, received the money from Eli Lilly and eight other companies, mostly for consulting and lecturing, according to state payment records reviewed by the Pioneer Press. Tomac’s appointment by Gov. Tim Pawlenty was announced Tuesday along with the appointments of Drs. Mark Eggen and Subbarao Inampudi and lawyer Sarah Evenson. Dr. Keith Berge was reappointed. Buy the DVD and host a party in your home, church or community center. 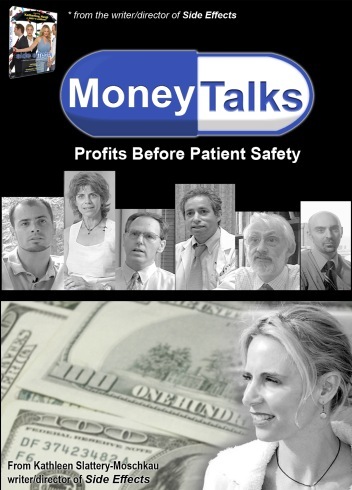 “Money Talks” is now available on DVD. Learn more at this link. Last night hubby and I went to Weight Watchers. The leader talked about how important it is to keep track of what you eat so that you can use the feedback to see what worked and what didn’t work. Anyway, other examples given were: looking at the clock so you get get to places on time, watching your speedometer and looking at the calendar. I thought of a couple others. I like to look at my blog stats. It tells me what posts were popular and what people want to read. It helps me decide what to write about. But the other thing which I think is really vital to keep track of is…the use of psych drugs. Especially when trying to wean off the drugs. I kept record of what I was doing when I weaned off the drugs. That way I had documented what was working for me…and what was causing a reaction or side effect. I am a member of a couple Internet support groups. Many times someone will join a support e-group and say that they are weaning off psych drugs. But they get into problems when they don’t have a system for writing down the drugs, the doses, and how they feel. If people do write this stuff down, they can give you a concrete answer when you ask them more about what they have taken and for how many days. Hubby and I both have stopped writing down what we ate….and we both gained. We can’t truly remember what it is that we ate that made us gain weight. It would be nice if we could because that would be feedback for us. It is the same when you are weaning off of psych-drugs. Write it down. This causes a couple things to happen. You are more careful when you write down what you are doing and if you get into trouble with withdrawal symptoms, you can see what you have done to analyze how you might change. What do drugs really cost? I received this in an email. I am not sure who the author is. If you know please advise me and I will give credit. Added on Feb. 5, 2009. This chart came from and investigative report of Steve Wilson of Detriot’s Channel 7 news. Some people think it must cost a lot, since many drugs sell for more than $2.00 per tablet. We did a search of offshore chemical synthesizers that supply the active ingredients found in drugs approved by the FDA. As we have revealed in past issues of Life Extension, a significant percentage of drugs sold in the United States contain active ingredients made in other countries. In our independent investigation of how much profit drug companies really make, we obtained the actual price of active ingredients used in some of the most popular drugs sold in America. The chart below speaks for itself. The figures are based on the cost of 100 pills. 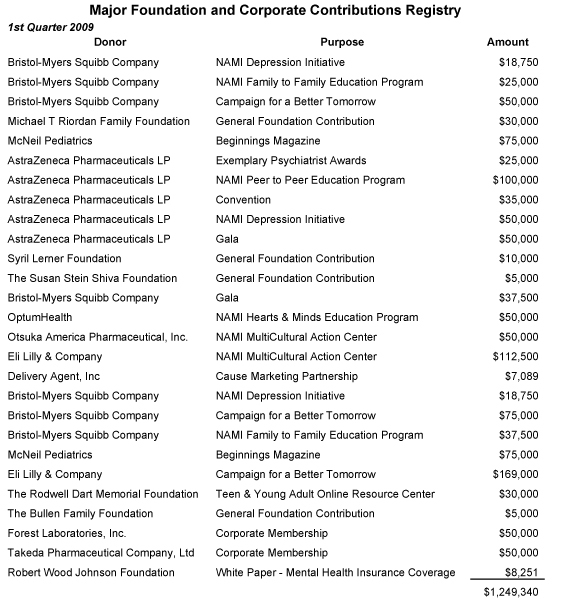 Since the cost of prescription drugs is so outrageous, I thought everyone I knew should know about this. Please read the following and pass it on It pays to shop around. This helps to solve the mystery as to why they can afford to put a Walgreens on every corner and why the market value of Pfizer is greater than that of Sweden.